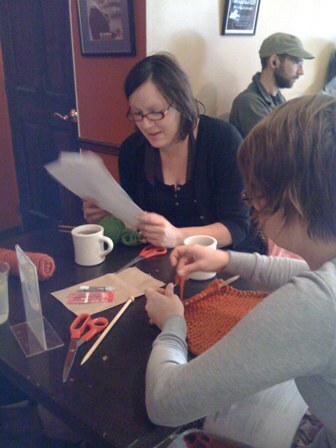 Tazza D’Oro barista, Emily Jackson, is organizing a knit-in this Sunday (11/30) starting at 4 pm until 10 pm at Tazza D’Oro. This “knit-in” is part of the Survive to Five campaign called “Knit one, Save one” of Save the Children. Emily and other Tazza D’Oro knitting baristas, will be knitting hats for infants in Mozambique, Ethiopia (one of our coffee producing countries). They are looking for some company to help knit. Emily asks that you bring your knitting needles (double pointed and/or circular) and we will provide the yarn. I bet there will be some interesting conversation happening around that table! Right on, Emily.